As part of our ongoing efforts to provide the best facilities for our students, OLF Elementary recently replaced the playground surface with new Jelly Bean rubber mulch. “After doing our research on the best surface for our students, we selected Jelly Bean rubber mulch,” said Cindy Hahn, OLF Elementary Principal. “The product is odorless, 100% free of contaminants and does not hold heat. 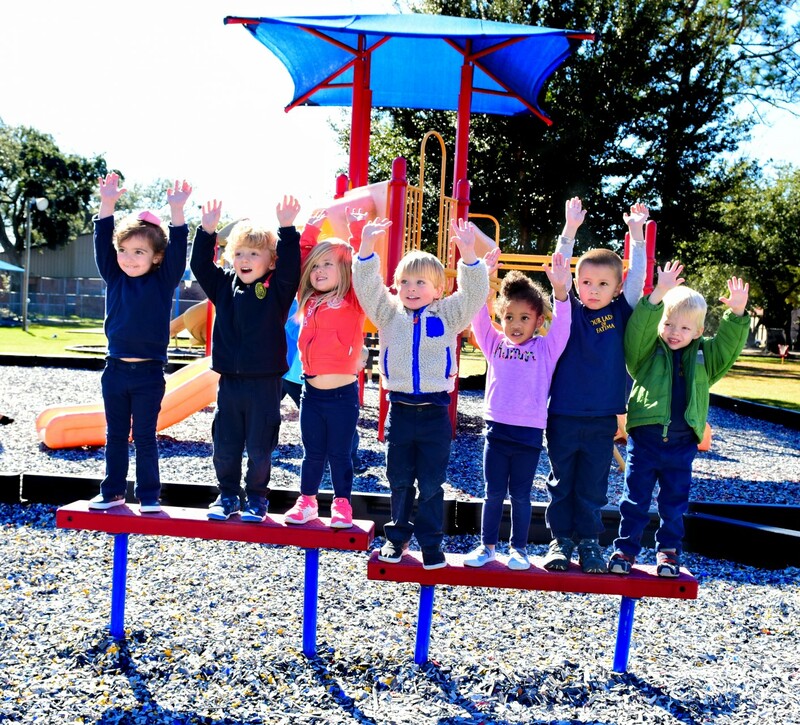 It also looks great and provides a safe landing for our students.” OLF Elementary raised the money for the new surface from the OLF Tailgate Party and Springfest. We also want to thank the Men’s Club for the installation of the new surface. More photos in our Seen & Heard. PK3 students prepare for a leap in the new Jelly Bean mulch.